DR. SURJYA KUMAR SAIKIA, Department of Zoology, Visva Bharati University, Santiniketan, West Bengal, India. DR. DEBANGSHU NARAYAN DAS, Department of Zoology, Rajiv Gandhi University, Itanagar, Arunachal Pradesh, India. The present book is a synthesis of work to cover most of the methodologies required for ecological studies in laboratory. The book is divided into four sections - Section I, II, III and IV. Section I deals with water analysis methods. This section is further divided into two chapters, viz. Chapter 1.1 for chemical and Chapter 1.2 for physical analysis of water. Section II deals in Soil analysis methods. This section is also divided into two chapters as Chapter 2.1 and Chapter 2.2 for Chemical and physical analysis of soil respectively. The part chemical analysis of water and soil include all principles and chemical reaction related to experiments concerned. This will help to understand the actual mechanisms of the experiment rather blindly following them. The Section III is specially designed for planktonic studies. The Chapter 3.1 includes definition and classification of plankton and periphyton with their sampling, preserving and counting techniques. Chapter 3.2 describes methodologies for productivity studies of plankton and periphyton. The book has mathematical details for plankton and periphyton studies (Section IV). The Section IV has been a special feature to this book where most popular diversity indices and feeding ecology measures are discussed. The Section has two Chapters viz. Chapter 4.1 for Diversity studies and Chapter 4.2 for Feeding ecology studies. The part feeding ecology denotes a unique feature to the book. All these indices are explained with examples and appropriate figures. Few most recent indices have also been included so far. The experiments mentioned in this book are simple and fit for undergraduate and post graduate classes. In addition, it has been designed to help researchers working in aquatic ecological laboratories. 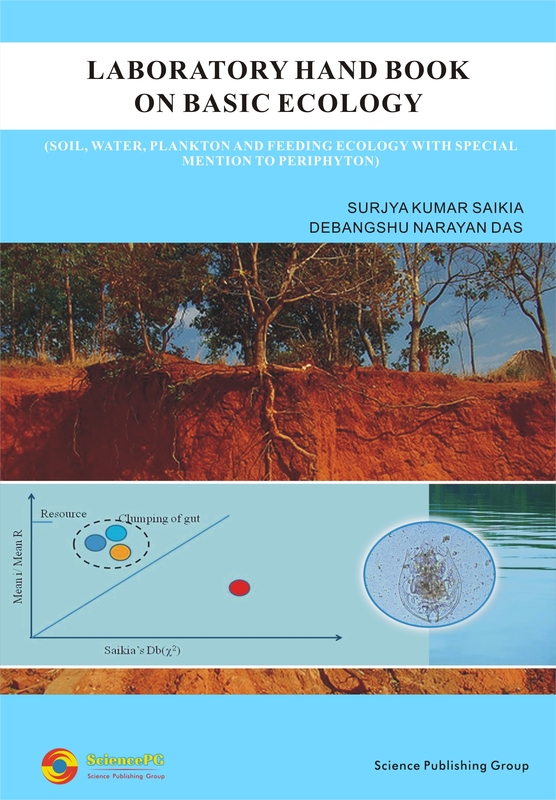 As an alternative to voluminous methodological books which are hardly ‘all in one’ in the laboratory, the proposed book would be handy, simple, explanatory and informative for beginners in all fields of ecological research.